An allergy is an abnormal reaction by a person's immune system against a normally harmless substance. 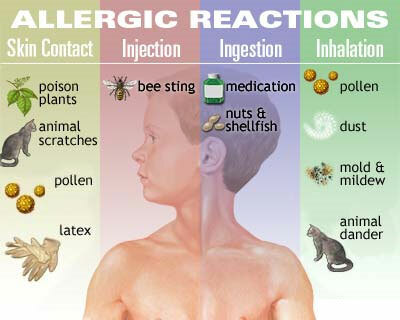 A person without allergies would have no reaction to this substance, but when a person who is allergic encounters the trigger, the body reacts by releasing chemicals which cause allergy symptoms. However, just because there is a cause and effect between exposure to a substance and the development of symptoms does not always mean that a person is allergic to that substance. 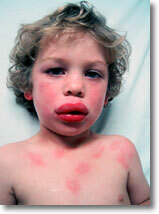 If you think you may have had an allergic reaction. This little boy is suffering severe facial swelling and urticaria. These are not life-threatening in themselves but may lead to more severe symptoms, such as anaphylaxis. 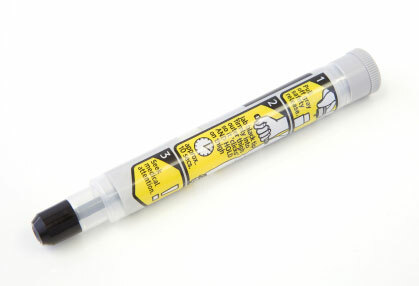 EpiPen® Auto-Injector is the #1 doctor prescribed epinephrine Auto-Injector for those with a history of anaphylaxis. EpiPen® helps stop allergic reactions fast - giving you time to get the emergency medical help you need.